Devices such as smartphones have given people living in the modern era the opportunity to constantly take photographs whenever they want. However, in days gone by this ability was much more restricted, with photographs often only being taken at very special occasions. This makes some of these frankly bizarre vintage photos all the stranger as they would likely have taken some time to prepare and were probably very expensive. So take a look at these creepy old pictures that might just make you rethink how people lived in the past. 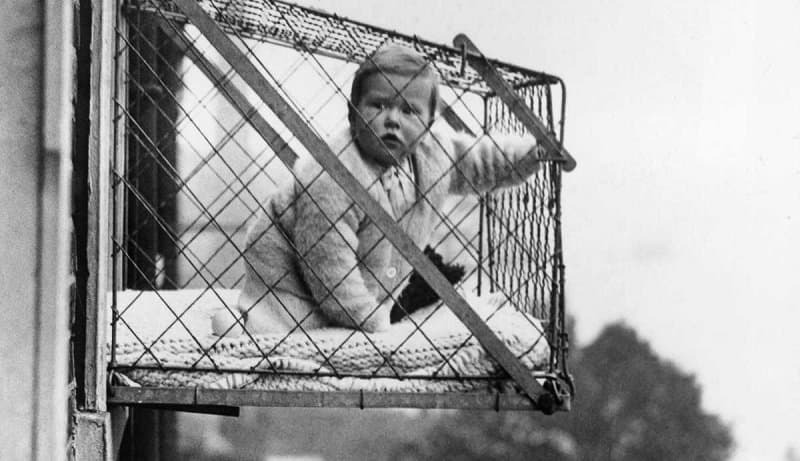 This is the ideal way to get children some valuable fresh air and sunshine when you live in an apartment complex high up in the sky. 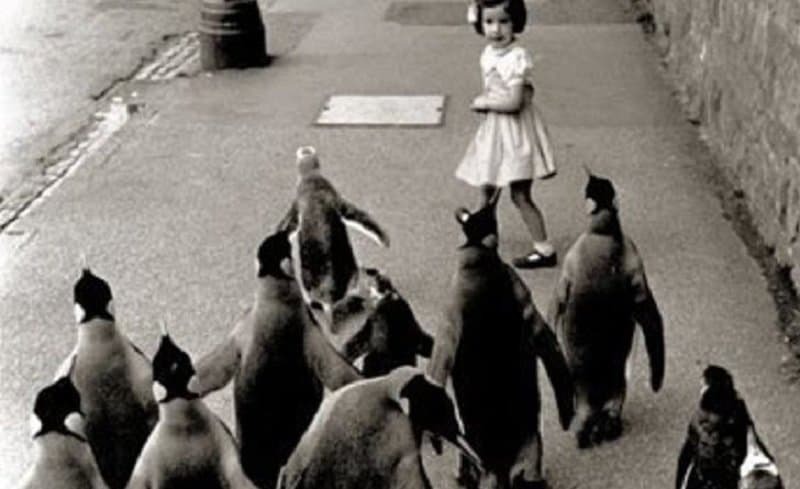 It isn’t exactly clear why this small girl is being followed by an army of penguins but it does look somewhat sinister. 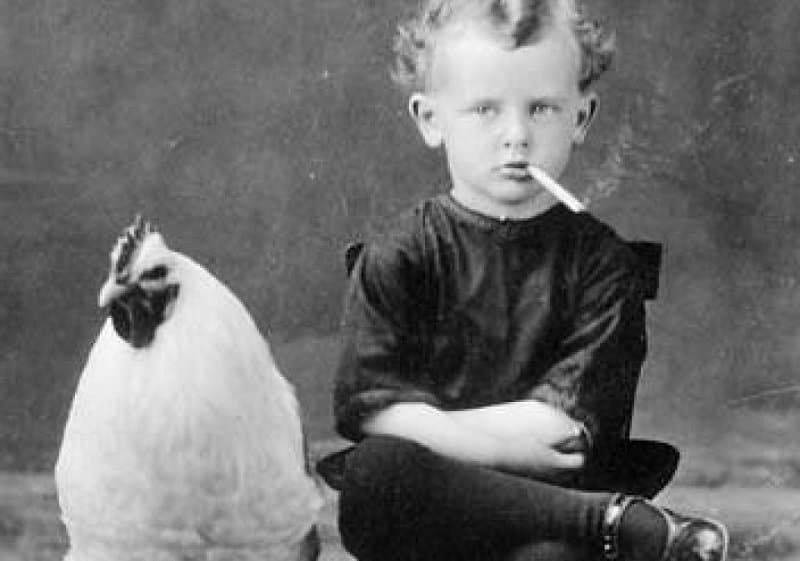 A simpler time when it was deemed perfectly acceptable to take a photograph of a young boy smoking a cigarette while sitting next to a rather large chicken. 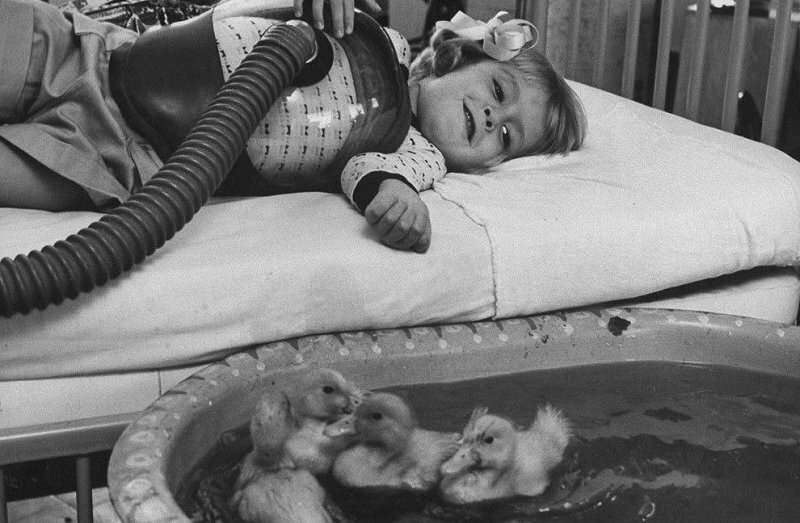 This remarkable picture shows not just how invasive hospital treatment could be for children in the past and how they would help to ease that suffering with animal therapy. 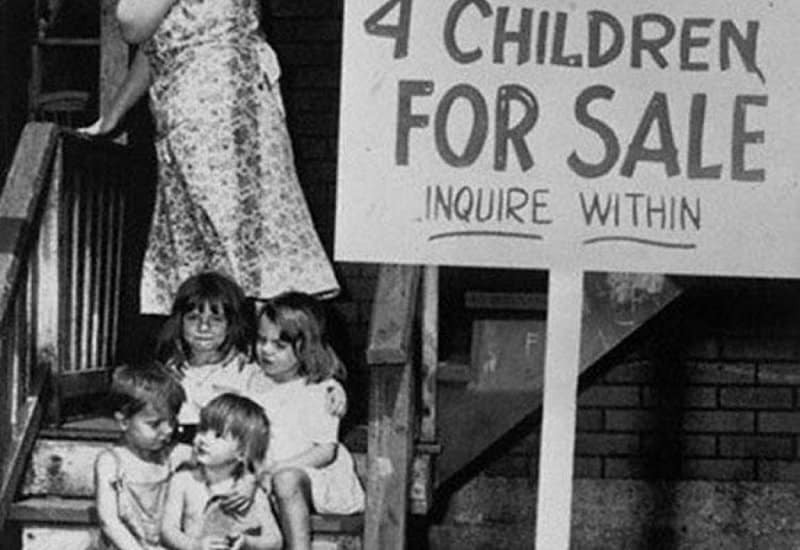 Selling children, no matter how annoying they are, would probably be frowned upon these days, but apparently not too long ago. There’s no information on the price. 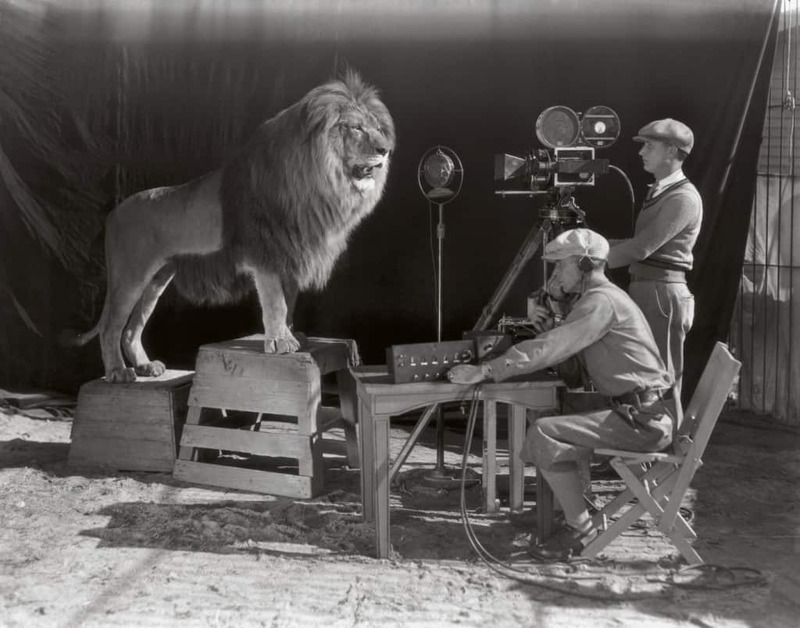 This image shows exactly how the famous logo for MGM movies was actually filmed, with the cameramen getting a bit too close for comfort. 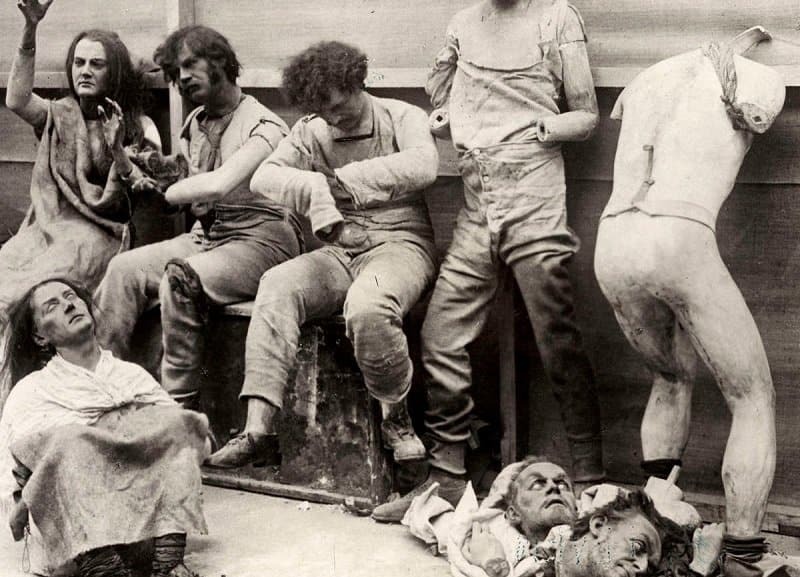 This might look a very morbid photograph but it is actually the result of a fire at Madame Tussauds in London. 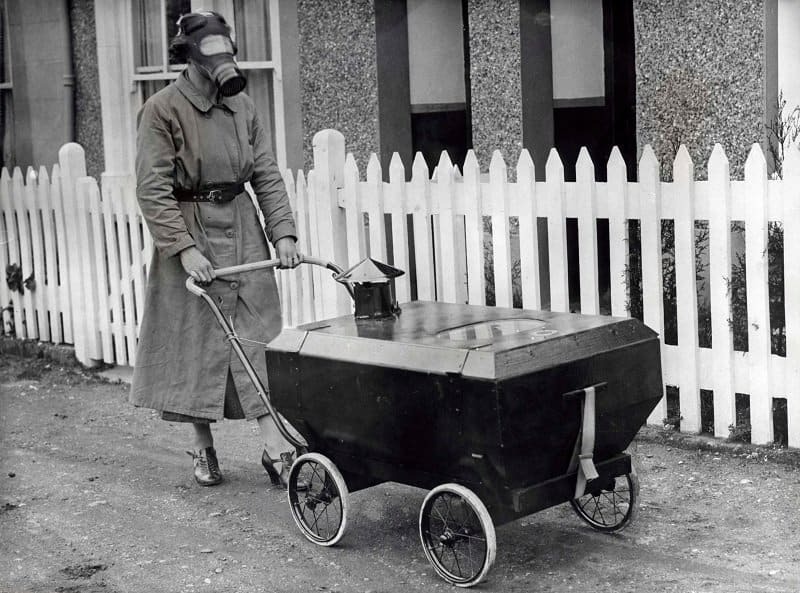 This photograph shows how much danger previous generations thought they we living in, going to the extreme lengths of even taking out their children in gas-resistant baby carriage. 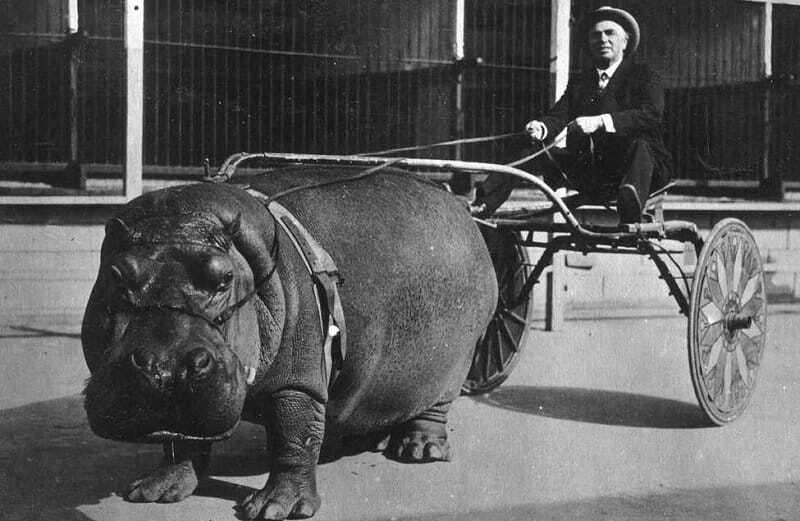 This was one of the perks of being a circus owner several decades ago, you could be driven around by a giant hippo. 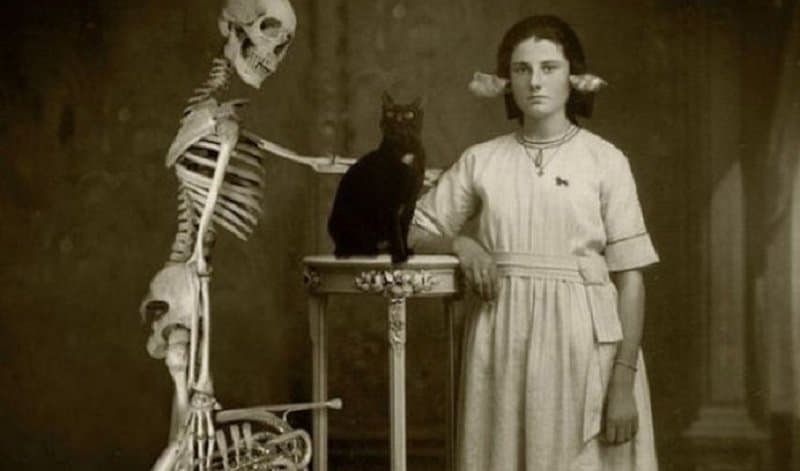 A lovely photo of the entire family, if your relatives are made up of a cat and a trombone playing skeleton that is.